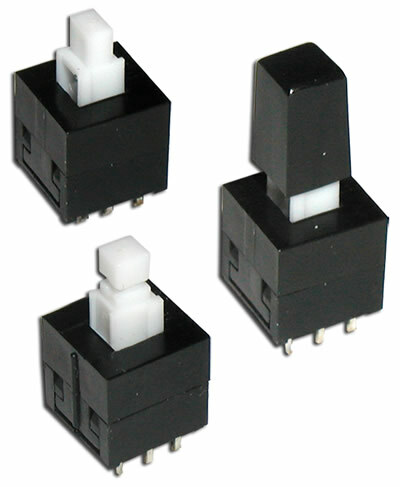 Miniature in size, the LP2203 double pole double throw push button switch features a momentary or latching choice. 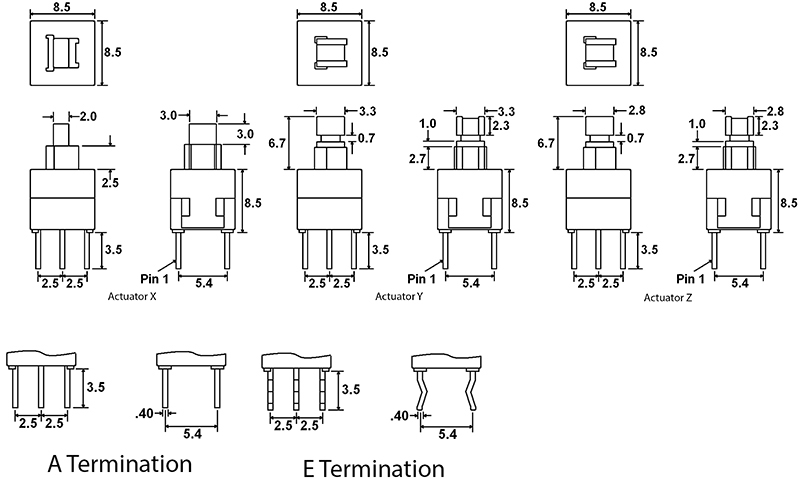 Choose from straight or bent PC pin termination and actuator size ranging from 2.0mm up to 3.3mm square head. The DIP switch features an actuation force of 180gF. Cap options offer color choices of white, black, red, light gray, dark gray, blue, clear and custom colors.